Join Me in New Zealand on the Great West Coast Cycle Tour! 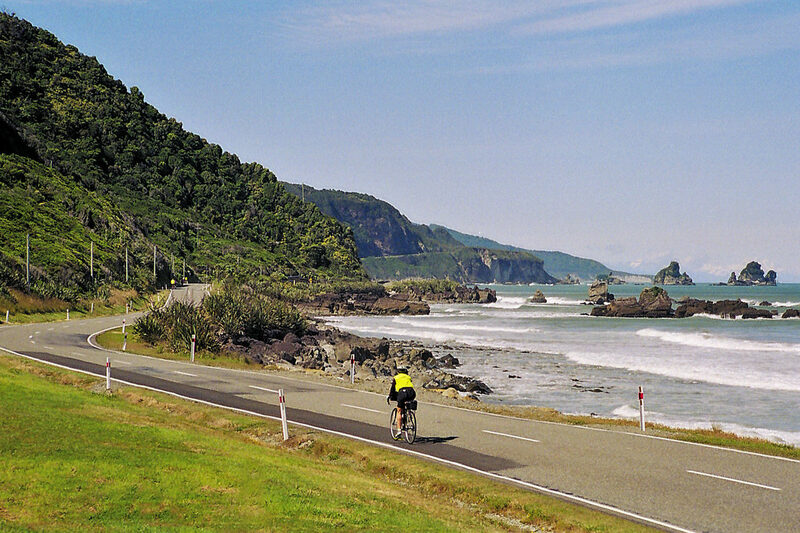 Riding bicycles in New Zealand is the ultimate dream for many cyclists! – The scenery in New Zealand is out of this world, the cycling paths are superb, the people are friendly (and speak English), the accommodations are to die for, and the memories you’ll create along the way will last as long as you live. If you’ve ever dreamed of cycling in New Zealand, you now have the opportunity to join me (Darren Alff – the Bicycle Touring Pro) on a once-in-a-lifetime cycling holiday with Adventure South NZ… in January 2020. Click here to learn more about this amazing bike tour in New Zealand and reserve your spot on the Great West Coast Cycle today! That’s right! In January of 2020, I will be traveling to New Zealand to participate in the Great West Coast Cycle tour with the amazing local tour company, Adventure South NZ… and you’re invited to join me on this incredible cycling holiday. So, pack your bags and prepare yourself for a memorable bicycle tour in one of the world’s best cycling destinations – New Zealand! The Great West Coast tour led by Sue and Lain was amazing – spectacular scenery, great company, delicious meals and comfortable lodgings. Known as New Zealand’s most famous and scenic multi-day cycle ride, this spectacular trip from Christchurch to Queenstown is also regarded as one of the world’s top five cycle touring routes. Your adventure begins with a memorable journey on the TranzAlpine Express train to Greymouth via the spectacular Waimakariri Gorge and lush forests of Arthur’s Pass National Park. Then the riding begins with daily rides of up to 100 km and many high alpine pass crossings (including the spectacular Haast Pass). The cycling on this bike tour will take you past an ever-changing landscape; from glacier country through to quiet sealed roads fringed with mighty podocarp rainforest and past dramatic coastlines. Near the end of the bike tour, you will cross over the Crown Range into the beautiful Southern Lakes district around the cities of Wanaka and Queenstown. There is a free day built into the tour for you to enjoy the many optional activities at the Franz Josef Glacier, such as relaxing in the hot pools, enjoying guided walks or taking an optional scenic flight. Wonderful trip in every way: itinerary, challenging climbs, guides, accommodations, bike rentals, additional activities, included meals, and compatible group. This bike tour is not for beginners. You will need to be an experienced road rider with a good level of fitness. You should be able to cycle comfortably for up to 4-6 hours (or around 80-100km/50-60miles per day), with some uphill riding. There are some long days and some steep sections. You should be confident riding on main roads – alongside traffic which can be traveling at high speed. Enjoy a journey on the TranzAlpine Train. This trip includes a trip on one of the great train journeys of the world through New Zealand’s Southern Alps. Along this journey you’ll see epic vistas, travel the edges of the ice-fed Waimakariri River, traverse the Southern Alps, and see miles of native beech forest from Christchurch to the West Coast. The tour is fully-supported and if, at any stage, you feel like having a rest from the cycling, you will be able to ride in the support vehicle. No problem whatsoever! Definitely the best cycling holiday we have done to date. Want to Join the Tour? To learn more about the Great West Coast Cycle tour… or to reserve one of the few remaining spots on this incredible, fully-guided cycling adventure in New Zealand, simply click here and contact Adventure South NZ directly. Just tell them you want to participate in the Great West Coast Cycle tour that takes place in January 2020 with Darren Alff – the Bicycle Touring Pro. If you have any questions about this bike tour or joining me in New Zealand, please leave a commend below this article or contact me directly. I hope you’ll consider joining me on this amazing bike tour in New Zealand and I look forward to cycling with you in January 2020! This entry was posted in Australia, Bicycle Touring Pro Articles, Featured Articles, Main Articles, Main Featured Articles, New Zealand, Uncategorized and tagged 2020, adventure south, adventure south nz, bike tours in new zealand, cycle new zealand, cycling new zealand, great west coast cycling, new zealand, new zealand bike tour, new zealand bike trips, supported bike tour. Hi Darren, very interested in this tour although not sure I can handle the constant almost 100km days one after each other just yet. Also, will you be bringing your Co-Motion Siskiyu along or renting the Company’s bikes? David, I’m happy to hear you are interested in joining me on this bike tour in New Zealand. But where did you get this idea we’d be cycling 100 km each day? The average daily distance is 72 km / 45 miles. This is something that almost anyone can work up to. 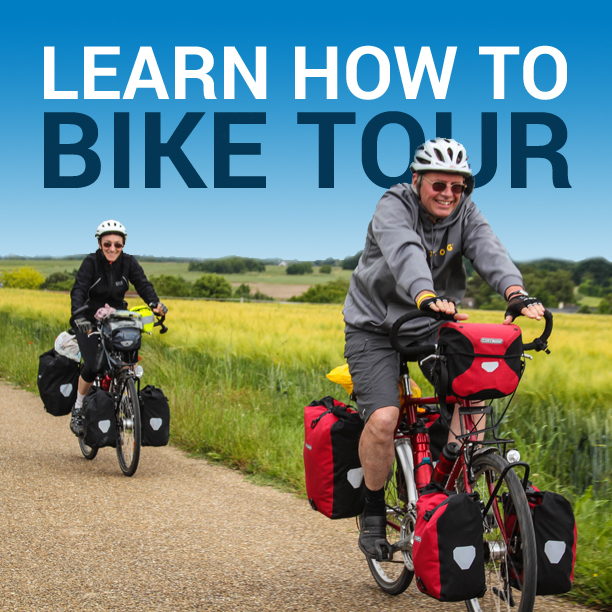 You have lost of time to train and prepare for the bike tour… so you can start training now and be more than ready by the time the bike tour rolls around in January 2020. You should seriously consider joining the bike tour! It would be great to meet you and cycle with you in New Zealand. Yes!! I would love to join you on this bike tour. How much does it cost? Darren, My wife and just signed up for the New Zealand tour in January 2020. It looks like a wonderful trip and it has been on our “bucket list.” We are looking forward to it. That’s so great Kevin! I can’t wait to cycle with you in New Zealand. I am REALLY looking forward to it!